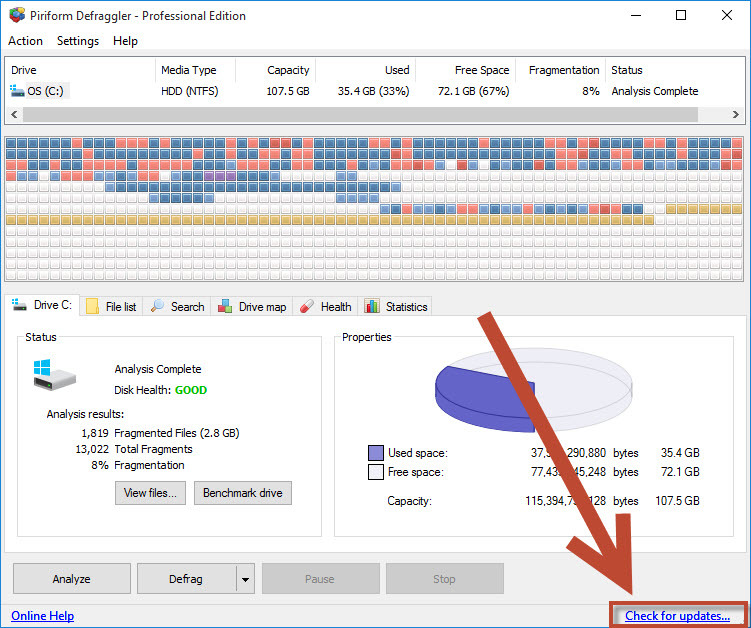 Checking for updates to Defraggler is a great way to make sure you have the latest version that will provide you with the best optimized defragging experience for your drives. To check for updates, click the Check for updates... link at the lower left-hand corner of the Defraggler window. Your Internet browser will open and the Defraggler site will tell you if you have the latest version, or will give you a link to the latest update. Be sure to sign up for news about Defraggler on the site while you're there.